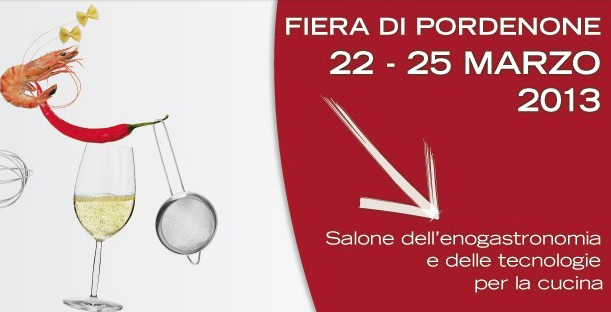 The Pordenone Fair, “CUCINARE: Enogastronomy FAIR AND TECHNOLOGIES FOR FOOD” opens this year from March 22 to 25 and it seems like a good opportunity. Perhaps not everyone knows that the “Zanussi” (the brand REX) now, “Electrolux”, was the largest manufacturer of Italian Appliances, created to bring in the Italian case tools, stoves and cooking stoves, fridges and freezers. I guess you could say that modernity in the kitchen came from Pordenone in the 60s. The idea of ​​”COOKING” I really like and I hope to meet you, I’ll be in the area dedicated to the media communication. See you soon.